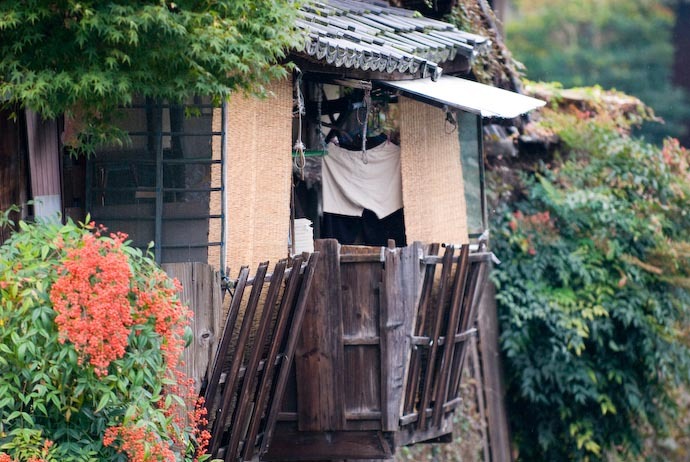 Winter is fairly blah in Kyoto, color/nature-wise. Kyoto is glorious in autumn and glorious during cherry-blossom season, hellatiously hot and humid in summer, and blah in winter. 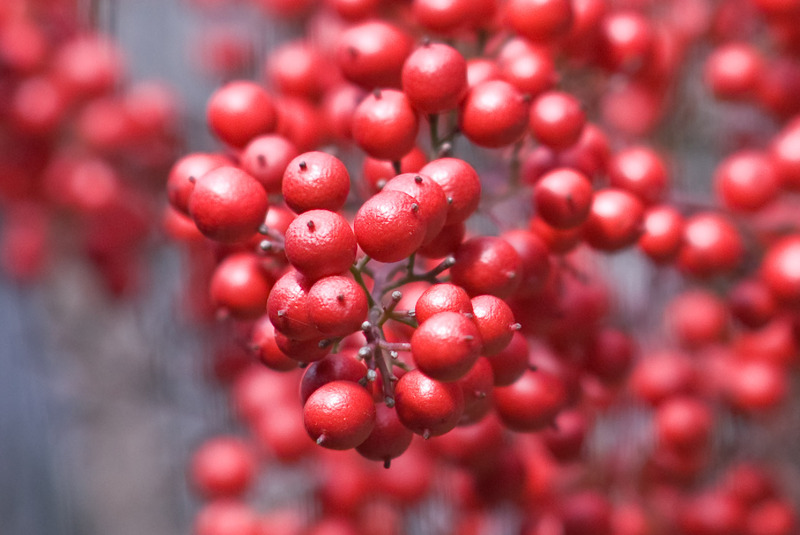 But one thing it has in winter are red berries of all sorts. 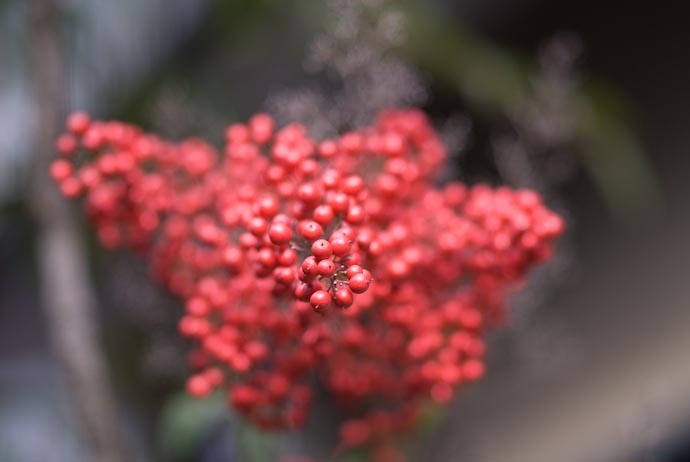 Now that I think about it, I posted some red berries last year as well. Anyway, I wanted to end the year with something colorful. We'll be spending the New Year on an island in the south of Japan, so I'll not be posting for the next week. Great to see a bit of colour, now we’re in the middle of dreary winter! If anyone’s interested, I think the berries mostly nanten, Nandina domestica. Alas, my own three young bushes have not yet fruited, but I live in hopes. There was some Nandina foliage showing by the stone lantern that you almost retrieved the other day. I believe that it is traditional to plant nanten by lanterns and other “hard landscaping” feeatures in Japanese gardens. 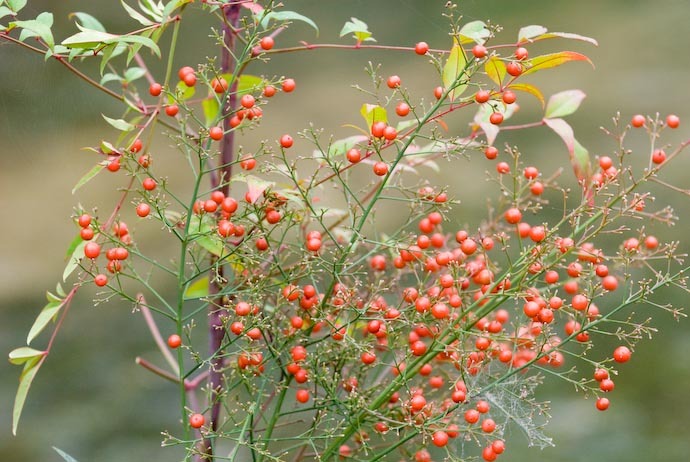 The one exception is the shrub by Nijo Castle, which is a firethorn (Pyracantha), perhaps P. rogersiana, which is not Japanese, but originates in Western China – or a garden hybrid derived from it. Wow, was I hoping the one comment listed would be Peters, identifying the berries. Hooray, it was!! Thanks, Peter. 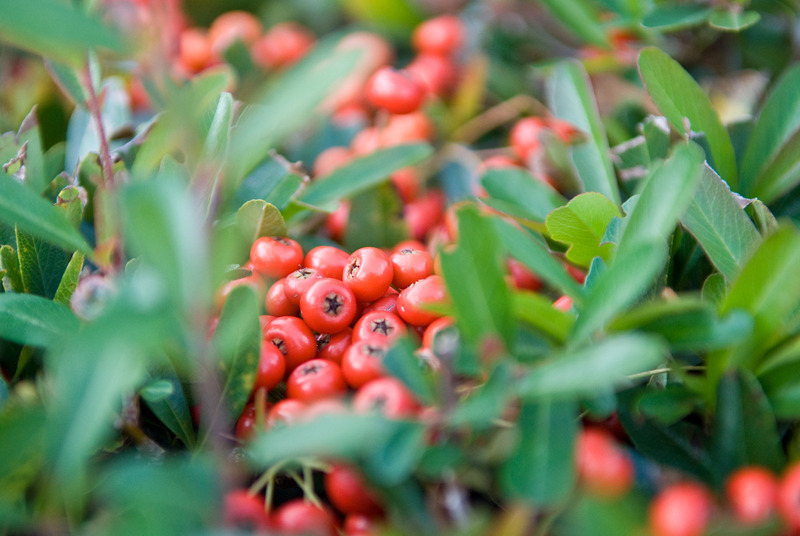 I was familiar with the pyracantha, which is beloved by Cedar Waxwings and other birds. I grew up with it in California. I was not sure of the Nandina, since I’ve never had any. We do have the exquisite Winterberry (Ilex verticillata) which is spectacular now that the leaves have dropped. I was tempted to use some on the altar of our Church for Christmas decoration against the backdrop of a Yew (Taxus Hicksii) screen that we painstakingly wired. Used red Poinsettias instead. Beautiful in any case. 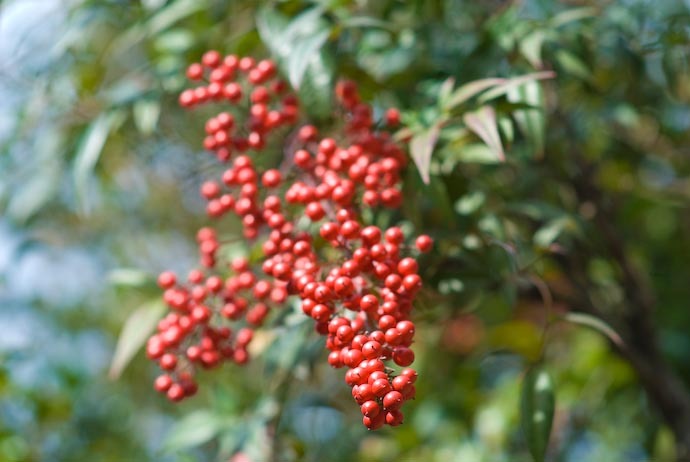 Do you know what this berry plant is called.